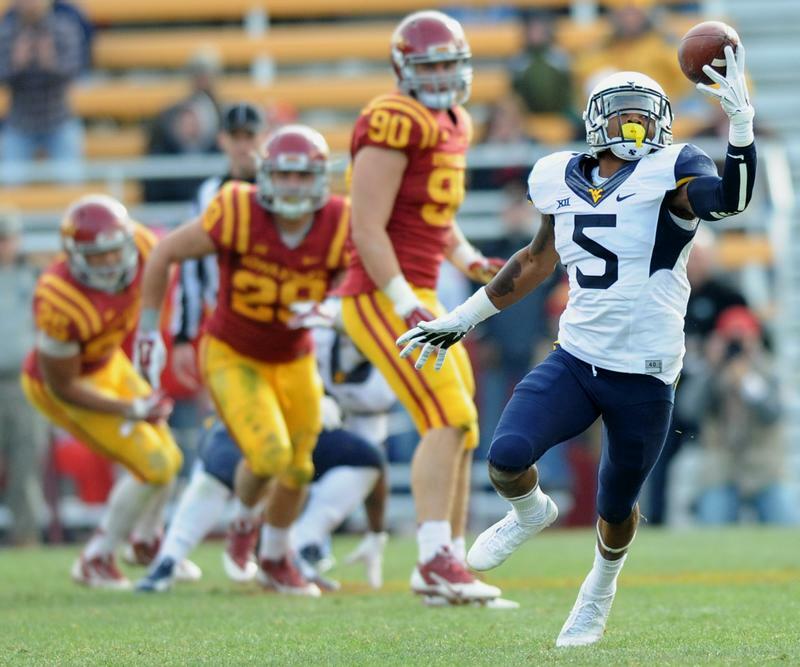 WVU finished the regular season with 7 wins and 5 losses after beating Iowa State 37–24. This is a substantial improvement over last season when WVU finished 4–8. Sophomore junior college transfer Skyler Howard had his first start as a WVU QB with Clint Trickett recovering from a concussion he sustained in the K-State game. Howard displayed confidence and played well, showing he can execute Holgorsen’s offense with a degree of success. This win gave WVU its best season as a member of the Big 12, going 5-4 in conference games. The biggest disappointment came in a 17 point loss at Texas. Not even Alabama ran over WVU, and the TCU loss was 31–30 in the final seconds. There was a world of difference between the defensive play of the past two years compared to this year. For the past two seasons teams could throw when and where they wanted with WVU seemingly helpless to stop them. This season, WVU’s defense held tough and the play of the corners, safeties, and linebackers was much improved. This year there was no QB by committee. Trickett was named the starter in June and that made a world of difference in how the offense operated. In games where Trickett was constantly under pressure however, he had a tendency to throw the ball high when he was off target. While this team was much improved over last season, it still has a ways to go. A few of the areas that need improvement is blocking on punt returns, creating and getting turnovers, reducing their number of turnovers, red-zone efficiency, and the running game, which means better blocking by the other backs and offensive line. Another area needing an upgrade is defensive end. Shaq Riddick was supposed to be the answer, but it took him a while to get used to Big 12 offenses and learning how to play ‘skinny’. WVU must also replace: QB Clint Trickett and WRs Kevin White and Mario Alford. There will be 4 or more QBs vying for the starting job, so this position looks good for the next few years. The positions of WR and RB aren’t as promising. Hopefully, they find a couple of speedy WRs, with moves, good hands and speed. Many are hoping that a couple of this year’s players are recognized with awards. Field goal kicker Josh Lambert is a finalist for the Lou Groza Award, and WR Kevin White is a finalist for the Biletnikoff Award. Good Luck to both these young men!!! I hope WVU retains all its current coaches for another season, they have all earned it. CONGRATULATIONs to the entire WVU Football staff and team for a good year!!! And good luck in the Bowl Game!!! This entry was posted in George O'Bryan, Home and tagged ISU. Bookmark the permalink.